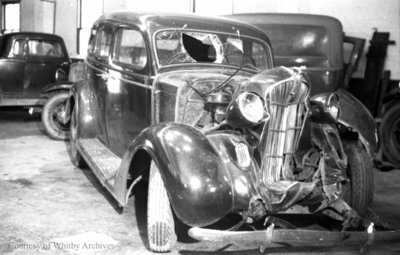 A black and white negative of a car that has been in an accident. View is of the front of the car. Car Wreck, June 10, 1937, Marjorie Ruddy. Whitby Archives A2013_040_203E.